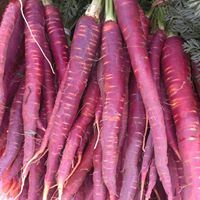 Urban Harvest supplies urban and market gardeners with delicious and diverse vegetables, flowers and herb plants, grown locally and organically. As we have lost 75% of global food biodiversity in the past 100 years, Colette is passionate about food security and believes that growing our own food and ensuring seed diversity is one of the best ways to enhance it. Colette's interest in plants and farming dates back to her childhood, when she dreamed of marrying a Spanish farmer. She started getting her hands dirty working in community farms in Spain, followed by three years of Landscape Architecture at Ryerson University, where she developed a strong interest in permaculture. Colette joined the Permaculture Action Network in Toronto and completed a Certificate in Permaculture in California. After returning to the city, Colette became a key proponent and pioneer of rooftop gardens in Toronto and worked to have her own greenhouse to grow heirloom species. Urban Harvest started out as a collaboration, incubated by FoodShare for three years. 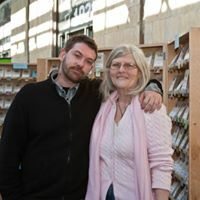 In 2008, after 15 months of discussion with Downsview Park, Colette was finally able make her greenhouse dream a reality. Colette’s passion and dedication resulted in a successful business, growing and selling more than 400 types of heirloom and organic seeds and soil amendments across the country. 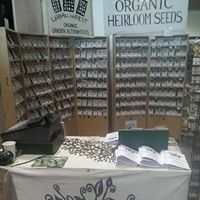 In addition to the pop-up store, seeds and amendments are available online and can be found at two farmers markets: Dufferin Grove and The Stop’s Farmers’ Market in the Wychwood Barns. In 2016, Colette began to rent a small 80ft² plot of land near her greenhouse for testing new varieties. Urban Harvest also grows plants specifically for certified organic seed-saving on a farm near Peterborough. The varieties are selected for their great taste and productivity. Colette makes sure that her growers – 10 farmers in or around GTA – use organic techniques. She pays particular attention to seed isolation in order to keep the variety intact. For something new, try the Garden Peach Tomato or the Rosa Bianca Eggplant! Colette is currently looking to buy a farm in or near the Greater Toronto Area to grow more and increase the business' revenue.